How do you generate commercial excitement while preserving the spiritual traditions of handmade Mexican goods in a high end market? 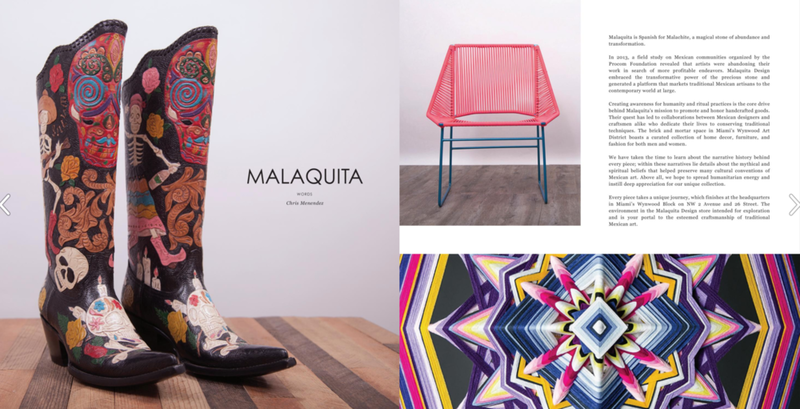 For their launch party Malaquita Design wanted a refreshing way to tell a story. With the SLS Pool Terrace as a stage I created a visual and written narrative highlighting objets and fashion pieces. A strong emphasis was placed on explaining the indigenous techniques and spiritual significance of each piece.